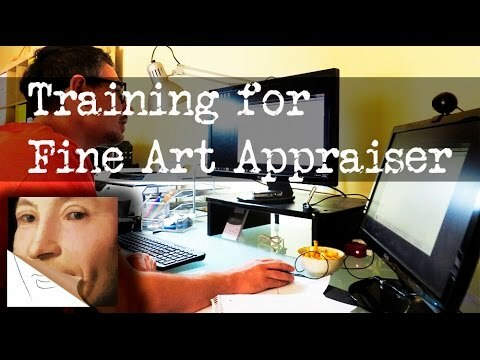 How to become a successful art appraiser? Art appraiser provides professional and research opinions which confirm authenticity and value of some artwork. A skilled professional is required to have an extensive knowledge of an art history, as well as, the international art market. After all, appraisers need to understand the principles which are used to determine the value of some piece of art. People have to spend a lot of hours and perform various computer scans while researching. Here are some tips which can help you become a successful art appraiser. For this occupation, you need to have a passion for art. In other words, you have to love spending endless hours in art galleries and gazing at objects, paintings, and ceramics. On the other hand, if this is just a regular job for you and you don’t have a passion, then you will not achieve success. Your first step should be getting a college degree, preferably in art or in art history. Besides majoring in art, it would be very beneficial to learn the business by working in an art gallery or at an auction house. The more experience you have, the better evaluation you will be able to perform. While trying to pursue a career in this industry, you need to spend a lot of time in reading and researching. Considering that you seek to become a successful appraiser, it is required from you to have a lot of information about art, and only reading can help you in that. If you want to become an expert, then you need to specialize in one topic, because an art field is broad. Many successful appraiser’s advice to the future experts to join some appraiser’s organization, it required 100 hours of education, every five years in order to maintain your membership status. Also, you need to complete 15 hours course every two years based on the standards which are mandated by Congress. Once you have performed the previous steps, it has come time to get your certificate and become a member of the American Society of Appraisers. This is a long and tedious process, which requires completing this entire procedure. NYU provides a certification in art appraisal courses. This also involves different meeting, and if there is an active chapter in your city, you should visit them because it’s an excellent opportunity to network. 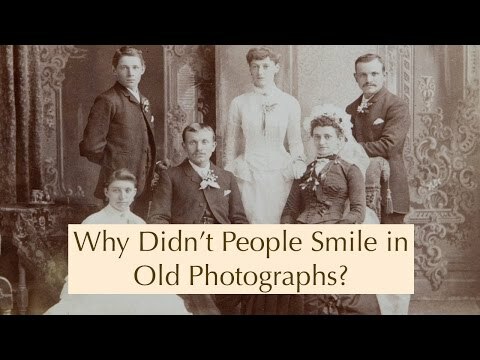 Appraisers can tell how photography can be old? People have been taking photographs for 200 hundred years now, and somehow this old discipline has been replaced with modern technologies. Now photos serve us as memories, but experts predict that only one photograph in 20 years can be truly called as rare one. Based on some estimates, there are literally thousands of millions of photos around the world, but the only small percentage are of collecting interest. 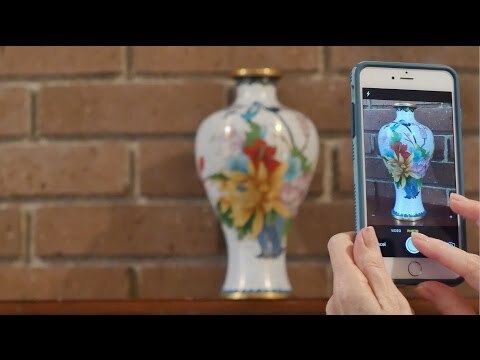 Appraisers face different challenges when assessing the value of a photograph because there are a lot of factors to reconsider which will bring one picture a real value. When evaluating a photo, appraisers need to pay attention to a photographer, subject matter, condition, inscription or autographs and provenance, which includes ownership history. Also, are there any similar photographs which are sold in past auctions and if it’s a vintage print? The market demands are accurate, but people mostly request pictures of presidents and Civil War items and president Lincoln is one of the most sought-after items on the market. Experts predict that 95% of valuable photographs are made by 60 photographers, and they date from 1840 to this year. Their historical value doesn’t play a significant role, but the artists who made such photographs. One of the most prestigious photographers of that time were William Henry Jackson, Eadweard Muybridge and Carlton Watkins. When evaluating vintage photographs, appraisers face a lot of difficulties because they need to determine the real value of some photo. Sometimes a lot of factors can decide the price of one photograph, that’s why it’s imperative not to make a mistake. Otherwise, their reputation would be at stake. If clients believe that they have a precious photo, they should call a skilled appraiser, and they usually charge between 30$ and 80$. Of course, you can use other means to discover the value, like using old historic recordings and museum reports. But, the best solution would be to hire an appraiser because they are skilled professionals who will provide you the best assessment. There are several demands a qualified appraiser needs to meet to assess an artwork. One of the biggest requirements when it comes to evaluating some artwork is for professional to have a good education. A qualified appraiser is a professional who has met the minimum education and experience requirements in a particular matter of subject. The provided education will give appraisers immense opportunities to further succeed in their career. To receive certificates, appraisers must earn appraisal designation from a respectable and recognized organization. This designation is rewarded on two conditions, when an individual has demonstrated competency in evaluating some artwork, or when he has met the minimum education and experience requirements. A number of comments focused on education and experience. Several commenters suggested that an appraiser’s evidence of education and experience should be required to be verifiable as provided in section 170(f)(11)(E)(iii)(I). The proposed regulations incorporate this suggestion by requiring a statement in the appraisal of the appraiser’s specified education and experience in valuing the relevant type of property. The proposed regulations also require the appraiser to complete coursework in valuing the category of property that is customary in the appraisal field for an appraiser to value. One commenter indicated that some of its appraiser employees may have significant experience but lack formal education, and suggested that “education and experience” be interpreted as “education or experience.” The commenter also asked that the “education and experience” requirement be applied to a group of appraisers rather than individually. The proposed regulations do not adopt these suggestions because they are contrary to the section 170(f)(11)(E) requirement that the person who signs the appraisal report be an individual with the requisite education and experience in valuing the relevant type of property. However, the proposed regulations define education broadly to include coursework obtained in an employment context, provided it is similar to an educational program of an educational institution or a generally recognized professional appraisal organization. There are some other requirements an appraiser needs to fulfill to become certified. He has to be compensated for the services he’s providing. On the other hand, an appraiser won’t become certified or be treated as qualified, if he has been banned from practicing. He is not allowed to make any violation in last three years, for an appraisal to be valid. The decision whether an appraiser is submitted based on his education and work. Putting a price on art might not be something that involves a lot of expertise, but evaluating an artwork requires a lot of knowledge. It takes a lot of time, studying and reviewing because there is no a pattern which can tell you the high or the low value of some art. But, there are still some methods you can use to evaluate a specific piece of art. The main rule art appraisers utilize when evaluating an artwork is to observe an object with their own eyes. Only in rare occasions, they rely on the opinion of other experts, for example, museum curator or scholar. On the other hand, some people use online appraisers, but it’s not recommended. Keep in mind that art appraisers can be skilled for only one area. It is always better to say that you don’t have the expertise, then to give the wrong assessment because no one can know everything. Art appraisers read a lot, and they use all the available means in order to provide the correct evaluation. Any kind of relevant fast which are provided by the owner about the piece of art is useful and highly recommended to use. It gives additional information and can help them greatly in further assessment. The market is pretty unpredictable, and it tends to be lower than for insurance replacement value. On the other hand, there is no particular rule when to go high or low. It mostly depends on the individuals who are ready to purchase unique artwork. At some point, some art can be very cheap, but in a few years, its value can be tremendous. In this case, a real art appraiser should point out these important segments and help you make the right decision. In most cases, appraisers are skilled and highly educated professionals, and their recommendation can help you a lot, just make sure to find the one who doesn’t have a conflict of interests. His purpose is to tell you which approach to take.